​The Amherst Victorian Dance Society teaches couple and group dances popular during the reign of Queen Victoria - 1837 to 1901. The Society started as the dream of Karen Boatman, a Civil War reenactor and Miles Linnabery, a former ballet dancer who had taught vintage dancing in Colorado before coming to Buffalo. Karen became the first President of the Society and Miles became the first Dance Master. We are located north of Buffalo, NY in Amherst, NY. 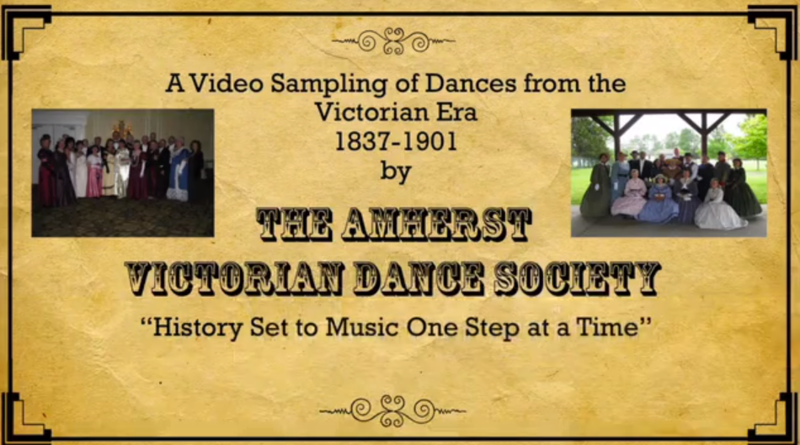 The Amherst Victorian Dance Society is one of the guilds of the Buffalo Niagara Heritage Village (BNHV). Click on BNHV logo below. Society members have twice per month instructional / practice / social meetings, hold an annual ball and perform at the Buffalo Niagara Heritage Village. The society also gives demonstrations at cultural, historic and community organization events. These events have included the Buffalo History Museum, The Buffalo Club, the Daughters of the American Revolution, Elderwood of Wheatfield, Aurora Senior Center, Mt. Morris N.Y. Photographer's Dream and the Jordan Historical Museum in Jordan, Ontario. Public performances requiring period clothing are optional for each member. 2012 Amherst Victorian Dance Society Ball at the Twentieth Century Club. VFW Instructional Meeting - Practicing "The German Waltz"
See video below of the Amherst Victorian Dance Society dancing at the Buffalo History Museum ( N.Y. State Building at the 1901 Pan Am) doing a variety of Victorian dances. Left click on picture to start video. Thank-you to the Canisius College Video Institute for filming this event !